I've said this a few times in the past, but Snappy Little Numbers is fast becoming one of those record labels that I really trust. It seems that no matter what record they release, I usually end up liking it. Having enjoyed a prior Spells 7" as well as a split cassette they were on, I was expecting another winner. Guess what? They didn't let me down. If you look at the track listing of the new Spells album, it might alarm some. There are a few kind of silly song titles like "Raditude," Staying In Is The New Going Out," "Leisure Seizure" and "Nitro Breakdown Right On." 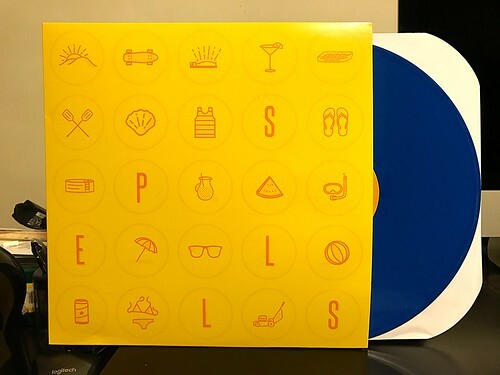 Thankfully, even though Spells definitely employs an upbeat, party band vibe, their songs aren't joke songs. Each is a well crafted, bouncy slice of pop with a punky aftertaste. The gang style singalong backup vocals punctuate the hooks and the guitar has a nice, nasty snarl to it. More than anything, they remind me of the band Napalmpom, except Spells did everything right that Napalmpom was doing wrong. No glam rock underpinnings and catchier songs. Definitely worth a listen.